– X-ray and neutron scattering and diffraction. 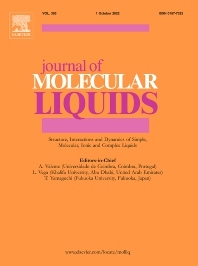 Experimental studies, computer simulations (MD or MC) and analytical theory will be considered for publication; papers just reporting experimental results that do not contribute to the understanding of the fundamentals of molecular and ionic liquids will not be accepted. Only papers of a non-routine nature and advancing the field will be considered for publication.